You are here: Home > MCSD News & Alerts > MCSD News & Alerts > Jefferson News > Buy Krispy Kremes TODAY – Noon-Til Gone at MCSD Admin Center! 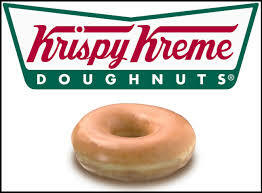 Stop by the MCSD Administration Center beginning at Noon TODAY to purchase your Krispy Kreme Donuts! The MCSD Administration Center is located at 2900 Mulberry Avenue. For convenience, customers may stay in their cars and drive through under the canopy. Donuts will be $10/dozen.